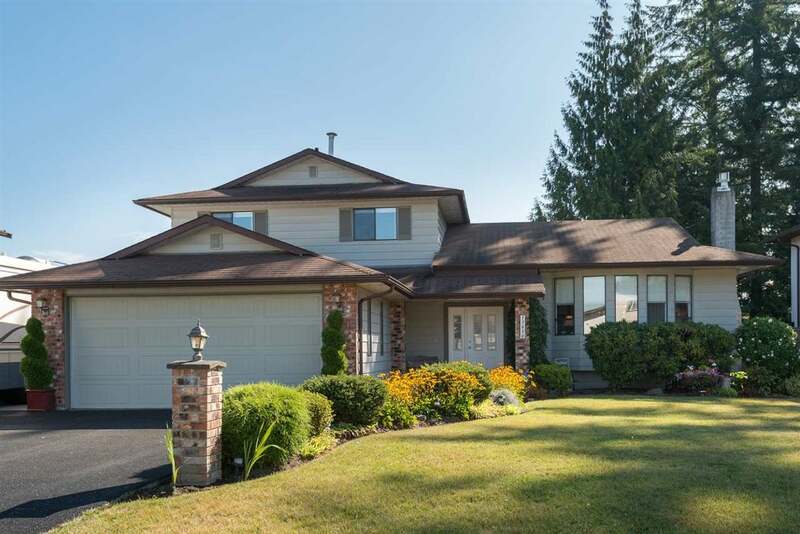 3 level split on 7245sf lot in desirable Pitt Meadows. Large entrance way leads to living rm w/gas f/p w/stone surround & dining rm, both w/newer bamboo flooring. Newer kitchen w/bright eating area, tile floors, granite counter tops, under cabinet lighting & newer appliances. Family rm has gas f/p, leads out to patio w/Beachcomber hot tub & fully fenced backyard w/water feature. Laundry rm w/new cabinets & 3pc bath. Upstairs has 3 bdrms, master w/update 3pc ensuite, his & her closets. Main bath renovated w/new vanity, tub, surround & tile flooring. Crown moulding & baseboards throughout. New gutters, furnace, heat pump w/air con & hot water on demand. ECO paved driveway w/lots of parking for all your toys & RV.